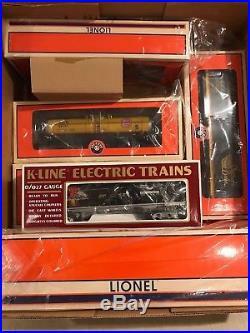 Lionel 6-14542 Kansas City Southern F-3 B Unit Non-Powered Diesel LN/Box. 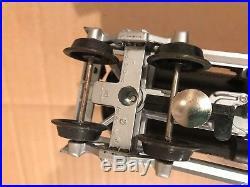 O Scale 2 Rail. 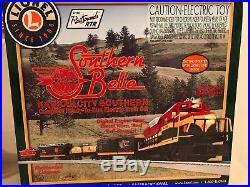 Here is the very gard to find Lionel 14542 Kansas City Southern F3 non-powered B-Unit with RailSounds. Command equipped, towercom, crewtalk and railsounds. 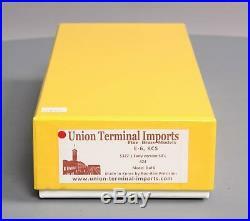 This item has been graded per TCA standards C-8: Like New. The instruction manual is included. The original box is included. Overall condition is Like New. The Trainz SKU for this item is 3979256. Track: 3979256 – 1303 (Suite 2740-200) LM/KS/mB – 001 – TrainzAuctionGroup001 – TDID14870. Please note, after seven days our systems may automatically re-list unpaid items. 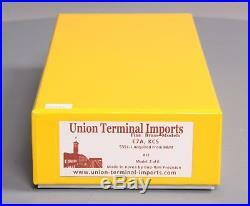 Explain why the item does not meet your expectations and how you would like us to handle the issue. If your item has been damaged try to include a photograph of the actual damages. Well do our absolute best to make you happy. Make sure to include your contact and order information when you return your items. Trains are your hobby, and we wouldnt dare take the fun away. We understand how important all the little things are, so we strive to provide as much detail as we can. We use detailed item descriptions, high resolution photos, and industry standard TCA grading. Its a lot of work, but its worth it to make sure youre never disappointed by something that wasnt quite what you expected. Standards for all toy train related accessory items apply to the visual appearance of the item and do not consider the operating functionality of the equipment. Condition and Grading Standards are subjective, at best, and are intended to act as a guide. You may also be interested in.. Loading items, please wait.. Track: 3979256 1303 (Suite 2740-200) LM/KS/mB 72vhLG8e78UfnK97UYv0. 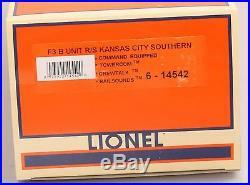 The item “Lionel 6-14542 Kansas City Southern F-3 B Unit Non-Powered Diesel LN/Box” is in sale since Thursday, February 09, 2017. This item is in the category “Toys & Hobbies\Model Railroads & Trains\O Scale\Locomotives”. 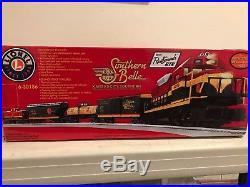 The seller is “trainz” and is located in Buford, Georgia. This item can be shipped to United States, to all countries in Europe, to all countries in continental Asia, to Canada, to Mexico, to Australia.